ProSport offer a comprehensive range range of linearly and progressively wound lowering springs, made of Chrome-Silicon Steel. 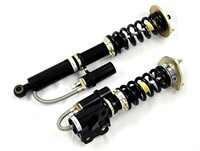 A set of the ProSport lowering springs will give the car sporty road handling and presence. ProSport springs kits carry not only TUV approval* but also a lifetime warranty.